TMS Software has released an updated version of their ORM framework which is called TMS Aurelius. 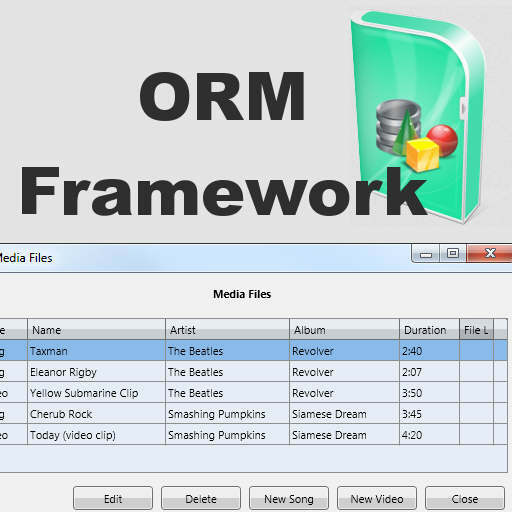 The new version of the ORM framework supports Android and IOS (as well as Windows and OSX) using Delphi XE5 Firemonkey. ORM stands for object relational mapping and provides a layer of objects between you and having to write SQL statements. It supports the following databases: Firebird, Interbase, Microsoft SQL Server, MySQL, NexusDB, Oracle, SQLite, PostgreSQL, DB2, ElevateDB server, and Absolute Database. It supports a wide variety of database access components from third party vendors but I think the most important one that is supported is FireDAC since it ships with Delphi XE5 Firemonkey. So if you need an ORM tool paired with FireDAC on Android and IOS this looks like a good solution. This is a commercial component set but there is a free trial available. Head over and download the free trial of the TMS Aurelius ORM framework components.